Barcelona vs Celta Vigo predictions for this Saturday’s clash in La Liga as the Catalans aim to end the year clear at the top of the Spanish top flight. Read on for our free betting tips and predictions. Barca clearly will play on the front foot and this has the potential to be a really good contest if Celta continue with their naturally ambitious style. The Catalans have scored 17 more goals than any other team in La Liga this term with an impressive average of 2.88 goals per game, a figure which increases to 3.5 at home. Celta Vigo though are the division’s 3rd top scorers and they average an impressive 1.86 goals per game away. All of their away league games this season have seen both teams score and they picked up an excellent 3-2 win against Villarreal in their last road game. Certainly there’s reason to fancy they will at least nick a goal but it’s hard to see they or indeed anyone stopping Barcelona the way they’ve been playing of late and going for Barcelona & Both Teams to Score could be worth considering. Ousmane Dembele is playing as well as he has done since joining the club and for the first time since Neymar left, Barca have a three-man strike-force that is really firing and could tear into a Celta side that doesn’t have a great defensive record. Only 3 teams have conceded more goals in the Spanish top flight this season than the Galicians and going for Barcelona & Over 4.5 Goals also looks pretty good as they look to end the year with another convincing victory. Barcelona have kept three LaLiga clean sheets in a row and are looking to keep four consecutive clean sheets for the first time since January 2018. Celta de Vigo have kept clean sheets in two of their four La Liga games under Miguel Cardoso (W2 D1 L1), as many as they had in 12 league games under Antonio Mohamed (W3 D5 L4). Barcelona have scored 100 league goals in 2018, more than any other big five European League team. Barcelona have conceded 19 goals in 16 games in La Liga this season, their worst total at this stage since 2003/04 (21 goals). Barcelona strikers Lionel Messi (14) and Luis Suárez (11) have scored 25 LaLiga goals, more than 16 teams in the competition this season. Barcelona’s Lionel Messi has scored more goals in 2018 (33) than any other player in LaLiga and Celta’s Iago Aspas has scored more than any other Spanish player in 2018 (21). 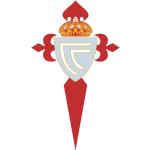 No LaLiga player has scored more LaLiga goals against Barcelona in the last five league seasons than Celta’s Iago Aspas (five goals in seven meetings). Current Barcelona manager Ernesto Valverde has not lost any of his 15 managerial games against Celta de Vigo in La Liga (W10 D5), drawing both of the last two.